The restaurant at Mortons House enjoys a fine reputation for offering traditional and innovative cuisine. The location provides the perfect centre from which to enjoy this Area of Outstanding Natural Beauty taking in the sights of Corfe Castle, the Jurassic coastline, Kimmeridge Bay, Lulworth, Durdle Door and Swanage with its famous Steam Railway and of course not forgetting the beautiful beaches at Studland. We are proud of our many accolades which include: VisitBritain Gold Award and Breakfast Award; AA 2 Rosettes for Fine Dining; South West Tourism Small Hotel of the Year and ‘Accessible’ Accommodation Silver Award. The village of Corfe Castle is protected and perfect, the old ‘capital’ of the Isle of Purbeck... you’ve even a sunny micro- climate here! Morton House Hotels’ afternoon tea consists of a Dorset Cream Tea with home-made scones, clotted cream and jam, home-made chocolate brownies and fruit cake, served with tea or coffee. 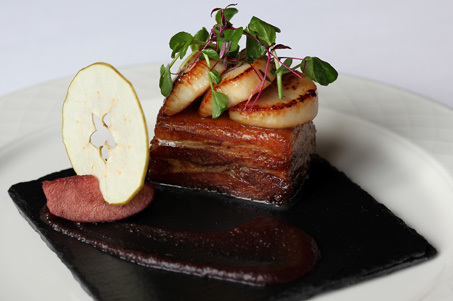 When weather permits, this is served on the terrace, alternatively its served in the Oak room - £6.00 per person. A superb location for small management meetings. Ideal for team building and outdoor events through our association with Brenscombe Outdoor centre. Contact us direct for bespoke Delegate packages. Each wedding is individual, therefore great importance is placed on each one, with bespoke packages tailored to your needs. Civil Ceremonies and Receptions catering up for up to 60 guests. Significant discounts for out of season weddings. Do contact our Wedding Co-ordinator Beverly Clayton. 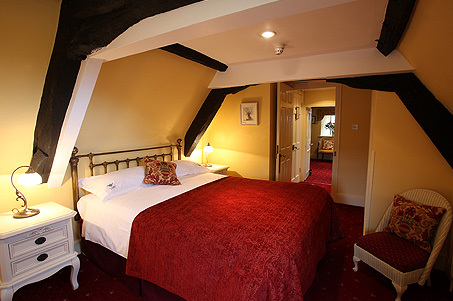 Our popular special &apos;Escape&apos; offer includes 2 nights accommodation with full English Breakfast, and dinner for two with a bottle of wine on the evening of your choice. The total price for 2 people is £370. Call 01929 480988 to check availability. 7 nights for the price of 6. 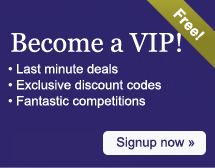 Why not enjoy a free night on us ! 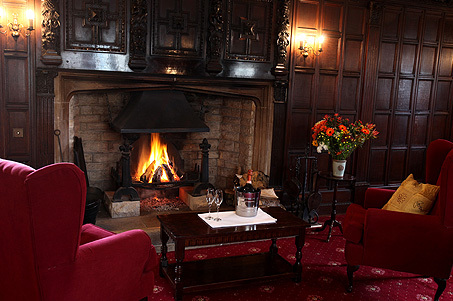 Stay for 7 nights and pay a total price of £960 to include full English Breakfast, benefiting from a free night. Call01929 480988 to check availability. The village of Corfe Castle is on the A351 between Swanage and Wareham in Dorset. Mortons House Hotel is in the centre of this pretty village. Two minutes walk from the Castle entrance. 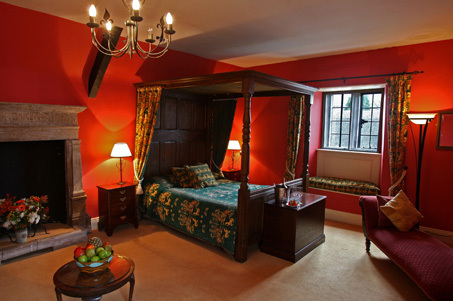 Fantastic stay in the Elizabethan Room. Wonderful friendly service. Lucy M.
Send an e-mail to Mortons House Hotel - Luxury Hotel in Dorset by filling in the form below. All fields are required. AA: 3 Star 86% 2 Rosettes for Food. . Silver Award (2014) for Accessible accommodation.